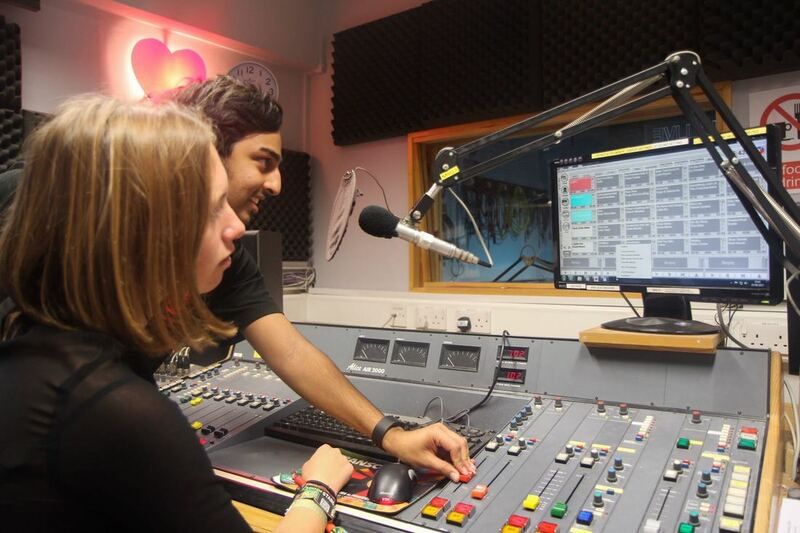 Also referred to as 'Desk Training', you'll receive training in groups of two by a committee member or XpressionFM presenter. 1 hour sessions over a period of 5 to 6 weeks, followed by a test. Once passed you can present your own show! Learn to use station-wide software such as Adobe Audition to create idents, promotionals, and show-specific sound. To get station sound trained email our Head of Training, Jem Godden, at training.xpressionfm@outlook.com. New to this year, sign-up for assistance in creating, producing, and presenting your own show once you've passed presenter training. This is an optional program.